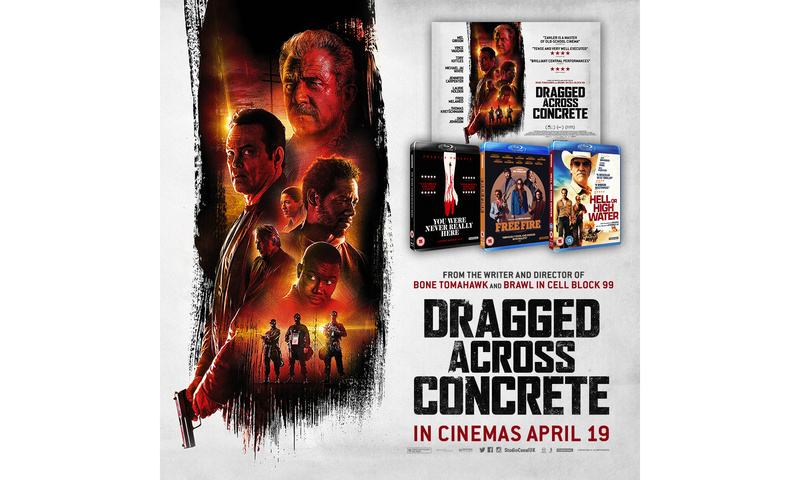 To celebrate the release of S. Craig Zahler’s thrilling new film DRAGGED ACROSS CONCRETE on April 19, we’re giving 3 of you the chance to win a Blu-ray bundle containing copies of critically-acclaimed films You Were Never Really Here, Free Fire and Hell Or High Water, plus the striking poster. From the cult director of Bone Tomahawk and Brawl in Cell Block 99, and starring Mel Gibson, Vince Vaughn and Tory Kittles, DRAGGED ACROSS CONCRETE follows two police detectives who find themselves suspended when a video of their strong-arm tactics is leaked to the media. With little money and no options, the embittered policemen descend into the criminal underworld and find more than they wanted waiting in the shadows.